Here is the very powerful Exorcism Prayer that we should pray and study to understand the complexity of satan and the other demons that we are up against everyday. The Holy Father exhorts priests to say this prayer as often as possible, as a simple exorcism to curb the power of the devil and prevent him from doing harm. The faithful also may say it in their own name, for the same purpose, as any approved prayer. Its use is recommended whenever action of the devil is suspected, causing malice in men, violent temptations and even storms and various calamities. It could be used as a solemn exorcism (an official and public ceremony, in Latin), to expel the devil. It would then be said by a priest, in the name of the Church and only with a Bishop’s permission. Most glorious Prince of the Celestial Host, Saint Michael the Archangel, defend us in the conflict which we have to sustain against principalities and powers, against the rulers of the world of this darkness, against the spirits of wickedness in the high places (Eph. 6.12). Come to the rescue of men whom God has created to His image and likeness, and whom He has redeemed at a great price from the tyranny of the devil. It is thou whom Holy Church venerates as her guardian and protector; thou whom the Lord has charged to conduct redeemed souls into Heaven. Pray, therefore, the God of Peace to subdue Satan beneath our feet, that he may no longer retain men captive nor do injury to the Church. Present our prayers to the most High, that without delay they may draw His mercy down upon us. Seize the dragon, the old serpent, which is the devil and Satan, bind him and cast him into the bottomless pit, that he may no more seduce the nations (Apoc. 20.2-3). In the name of Jesus Christ, our Lord and Savior, strengthened by the intercession of the Immaculate Virgin Mary, Mother of God, of Blessed Michael the Archangel, of the Blessed Apostles Peter and Paul, and all the Saints, [and powerful in the holy authority of our ministry]*, we confidently undertake to repulse the attacks and deceits of the devil. V. Behold the Cross of the Lord! Flee, bands of enemies. R. The Lion of the tribe of Juda, the Offspring of David has conquered. We drive you from us, whoever you may be, unclean spirits, Satanic powers, infernal invaders, wicked legions, assemblies, and sects. In the name and by the virtue of Our Lord Jesus Christ +. May you be snatched away and driven from the Church of God and from the souls redeemed by the Precious Blood of the Divine Lamb +. Cease by your audacity, cunning serpent, to deceive the human race, to persecute the Church, to torment God’s elect, and to sift them as wheat +. This is the command made to you by the Most High God +, with Whom in your haughty insolence you still pretend to be equal +. The God Who will have all men to be saved, and to come to the knowledge of the truth (I Tim. 2.4). God the Father commands you +. God the Son commands you +. God the Holy Ghost commands you +. Christ, the Eternal Word of God made Flesh, commands you +. He Who to save our race, outdone through your malice, humbled Himself, becoming obedient unto death (Phil. 2.8). 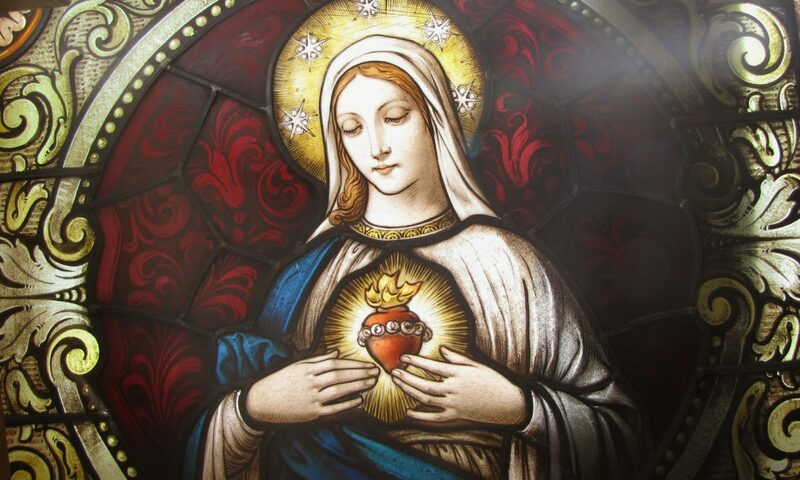 He Who has built His Church on the firm rock and declared that the gates of hell shall not prevail against Her, because He dwells with Her all days, even to the consummation of the world (Matt. 28.20). The hidden virtue of the Cross requires it of you, as does the power of the mysteries of the Christian Faith +. The glorious Mother of God, the Virgin Mary, commands you +. She who by Her humility and from the first moment of Her Immaculate Conception crushed your proud head. The faith of the holy Apostles Peter and Paul and of the other Apostles commands you +. The blood of the Martyrs and the pious intercession of all the Saints command you +. Thus, cursed dragon, and you, wicked legions, we adjure you by the living God +, by the true God +, by the holy God +, by the God Who so loved the world, as to give up His only-begotten Son that whosoever believes in Him may not perish but may have life everlasting (St. John 3.16). Cease deceiving human creatures and pouring out to them the poison of eternal perdition. Cease harming the Church and hindering her liberty. Retreat, Satan, inventor and master of all deceit, enemy of man’s salvation. Cede the place to Christ in Whom you have found none of your works. Cede the place to the One, Holy, Catholic, and Apostolic Church acquired by Christ at the price of His Blood. Stoop beneath the all-powerful Hand of God. Tremble and flee at the evocation of the Holy and terrible name of Jesus; this Name which causes hell to tremble; this Name to which the Virtues, Powers and Dominations of Heaven are humbly submissive; this Name which the Cherubim and Seraphim praise unceasingly, repeating: Holy, Holy, Holy is the Lord, the God of Hosts. God of Heaven, God of earth, God of Angels, God of Archangels, God of Patriarchs, God of Prophets, God of Apostles, God of Martyrs, God of Confessors, God of Virgins, God who has power to give life after death and rest after work, because there is no other God than Thee and there can be no other, for Thou art the Creator of all things, visible and invisible, of Whose reign there shall be no end. We humbly prostrate ourselves before Thy glorious Majesty and we supplicate Thee to deliver us from all the tyranny of the infernal spirits, from their snares, their lies, and their furious wickedness. Deign, O Lord, to protect us by Thy power and to preserve us safe and sound. We beseech Thee through Jesus Christ Our Lord. Amen. 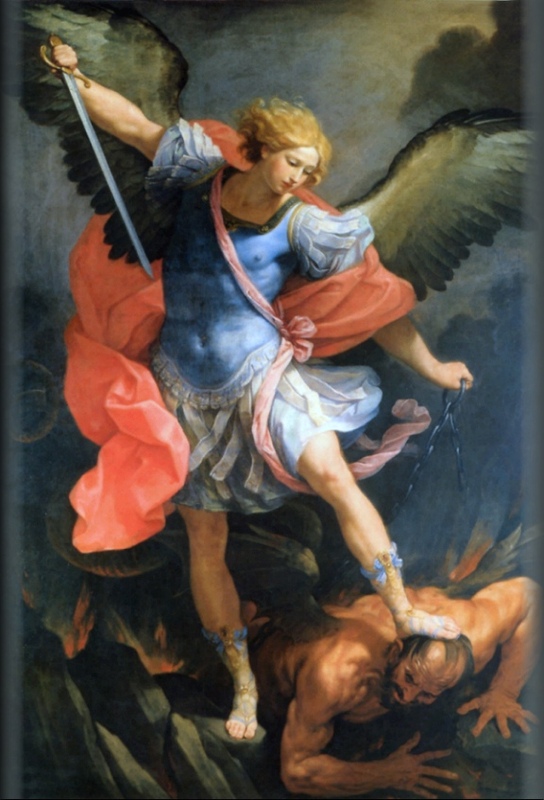 Saint Michael the Archangel, defend us in battle, be our protection against the wickedness and snares of the devil. May God rebuke him, we humbly pray and do thou, O Prince of the Heavenly Host, by the Divine Power of God, cast into hell Satan and all the evil spirits who wander throughout the world seeking the ruin of souls. Amen.